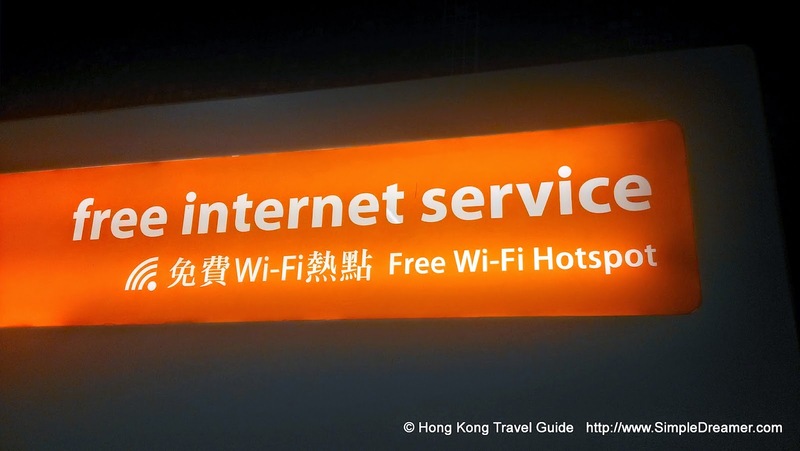 Free wifi access is available throughout metropolitan Hong Kong, with certain limitations and/or 'catch'. To begin, simply switch on and scan for a wifi hotspot near by using your mobile device. Apart from all the private / home use hotspots, you should be able to find a free or chargeable wifi nearby. Free wifi access are available in major shopping malls, usually free of charge and without time limit. Once you have left the shopping mall, search for wifi hotspots near phone booths, fast-food chains, coffee shops, convenient stores and banks. Wifi access from these 'around the street corner' sources are sometimes chargeable or with a time / data limit. In a nutshell, free WiFi access is easily available in Hong Kong, you just have to scan for it, be a bit patient, surrender some private information (e.g. name, IMEI, phone number) or be stationary.